New World Library, 9781577319825, 299pp. Our ancestors adhered to the daily, seasonal, and yearly rhythms of nature by necessity, but modern life overrides these cycles, compromising women's health and happiness. In this book, Sara Avant Stover shows how simple, natural, and refreshingly accessible practices can minimize stress and put us back in sync with our own cycles and those of nature. When we honor spring's seedlings, summer's vibrancy, fall's harvest, and winter's quietude, we harmonize our inner and outer worlds. Sara's recommendations nurture the body, invigorate the mind, and lift the spirit. Illustrated yin and yang yoga sequences, one-day season-specific retreats, enticing recipes, and innovative self-reflection techniques make it easy to reconnect with the essential. 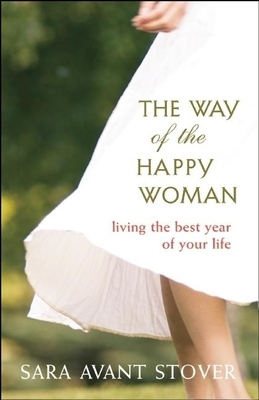 Sara Avant Stover is an inspirational speaker, teacher, mentor, and the founder and director of The Way of the Happy Woman. (R) After a health scare in her early twenties, Sara moved to Thailand, where she embarked on an extensive healing and spiritual odyssey throughout Asia and served as one of the pioneer Western yoga teachers in that part of the world. She now lives in Boulder, Colorado, and continues to teach around the world.